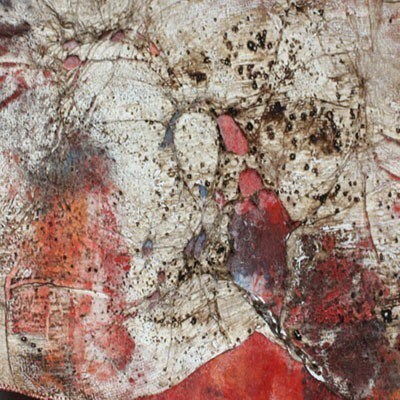 I am a mixed-media textile artist, tutor and author who likes to stitch, burn and melt materials such as Kunin Felt, Tyvek and Lutradur, adding acrylic mediums to create textured, unusual and exciting surfaces. For me, the satisfaction comes from sample making, discovering new techniques and creating unusual fabrics. These are then used as backgrounds to stitch into or as pieces to be displayed as they are. At this moment in time I seem to be leaning more towards wearable art, especially costumes and accessories influenced by the Steam Punk movement. 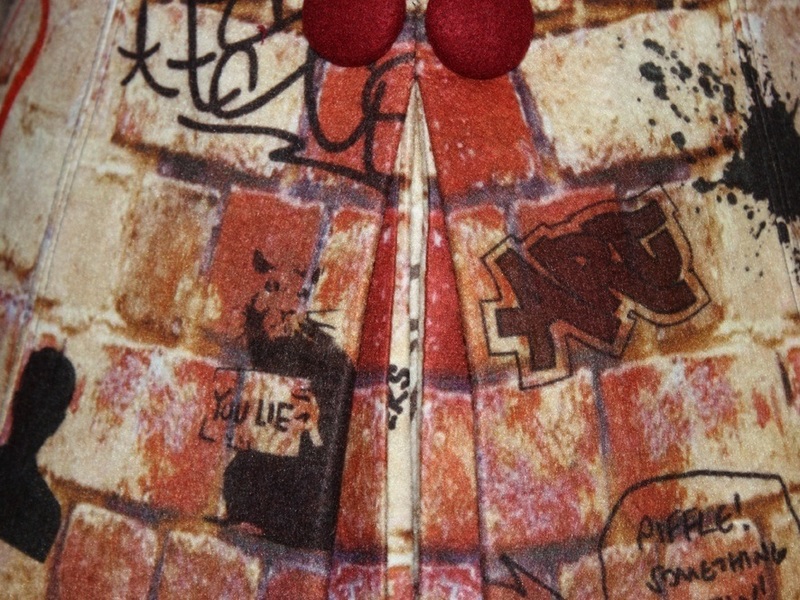 I have taken the original source for these pieces of wearable art from three main areas of interest: my admiration for Grayson Perry, a fascination with graffiti in all shapes and forms and a fondness of the Punk/Cosplay movement. Grayson Perry uses his art work as a means to tell the world his thoughts and feelings, Graffiti artists use any available public surface to get their message across and Steam Punk enthusiasts dress to convey their re/upcycling aesthetic in their love of the old, the repaired, the reworked and the imperfect. I have created these wearable art pieces in a style that embraces the Victorian era and that of Steam Punk culture, adorning it with graffiti. I decided against using my own views for the graffiti and have instead used a light-hearted and varied approach with a few of my favourite, and some well-known, phrases and cartoons. In these pieces I have used the power of stitch to construct forms to carry thoughts, opinions and feelings using the power of words.